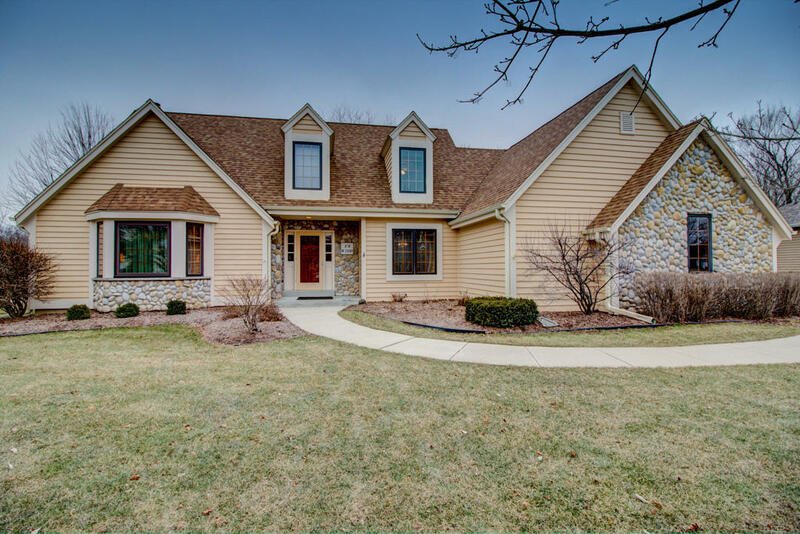 Welcome to this gorgeous home backing up to Muskego County Park in the coveted Lake Forest Neighborhood. This rare home features a master suite on the main level, open kitchen to the family room with large stone fireplace, and vaulted ceilings filled with natural light. Pristine hardwood floors, modern paint colors, and professionally finished basement with rec room, half bath, and full bar. Tons of additional living space with finished bonus room and loads of closets. 3 large bedrooms upstairs complete this home. Roof, Furnace and A/C, and water heater all updated in 2014. This home has been meticulously maintained and pride of ownership shines bright!